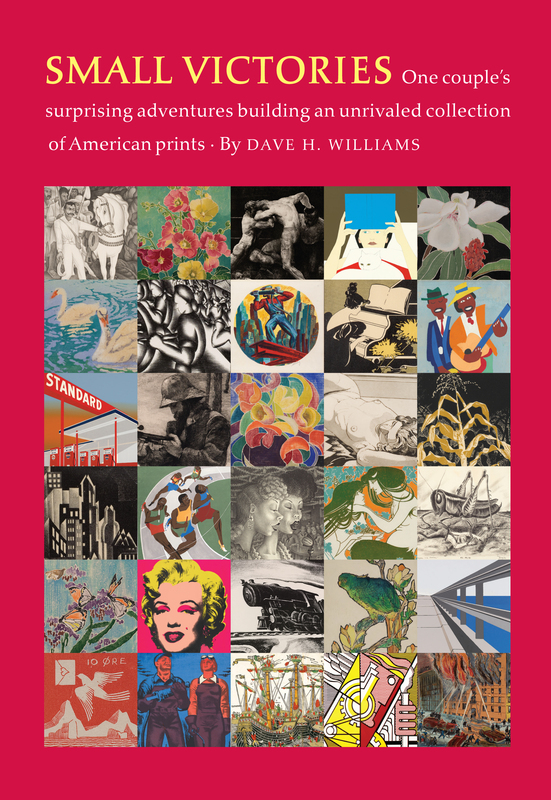 In ways that are almost unknown in the world of art history and criticism, the reader of SMALL VICTORIES will experience the excitement of the chase, the courage of the exploration of new territories, the determination to open new doors, and the stubbornness and integrity with which Dave and Reba Williams have pursued their dream to form the greatest ever privately owned collection of American prints in the world. Their success in doing so only came through humility, hard work, total disregard for convention and the stuffy rules of the art market. The Williamses doggedly pursued their goal to bring back to life the work of hundreds of often unjustly forgotten artists in communities all over the United States. This book is a scintillating journey, full of surprises, common sense, cheek, adventure and more than anything else, indomitable passion. SMALL VICTORIES has just been reviewed by Robert Fay for the LA Review of Books!